As a company which has based its foundations on word of mouth recommendation, it is likely you have been referred to this site by an existing client, or one of our affiliates who have entrusted us to represent them. It is a privilege for us to be able to work in an industry we are passionate about, and working with clients who we have enjoyed building strong relationships with over the years. 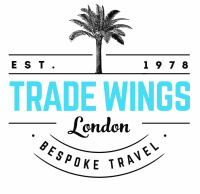 We have a combined experience of over 100 years in the travel industry. As well as experience we offer an honest, pro active and a flexible approach to ensure you are supported from the planning stages , right the way through to your final day of travel.